When is a Regency romance not a Regency romance? I love Regency romances. 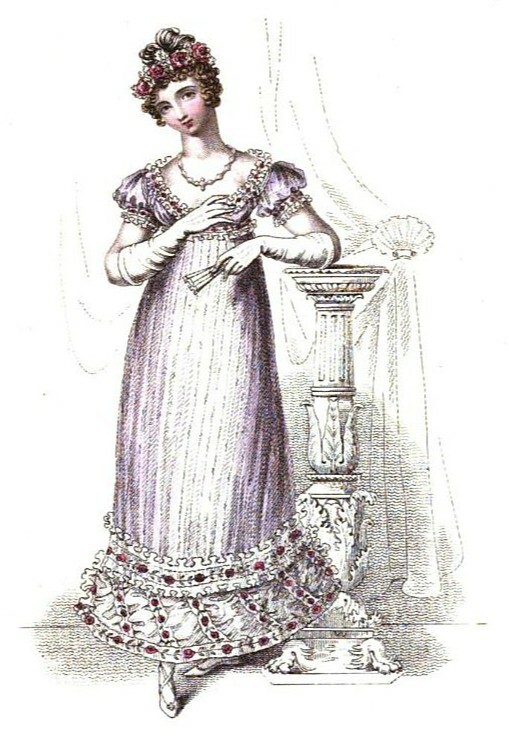 The Regency is a period ruled by elegance and etiquette. It is a romantic world full of balls and duels, Corinthians and debutantes, Almack’s and Vauxhall Gardens, and rakes reformed by love. 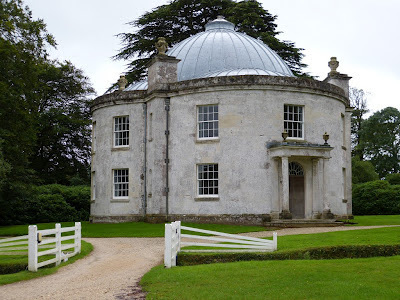 When I started to blog about Regency history, I was motivated by wanting to explore the historical background to the Regency romances that I love to read so that I could write my own. And yet I have often picked up a “Regency” romance, only to find that it is set in 1823 and not set in the Regency at all! The Regency lasted a mere nine years, from February 1811 until January 1820. In 1810, George III was taken seriously ill. He was declared incapable of ruling because of mental incapacity and the Regency Act was passed the following year making his son George Prince Regent to rule in his stead. The Regency lasted until George III’s death in 1820 when the Regent became King George IV and was able to rule in his own right. So why is it that not all Regency romances are set in the period 1811 to 1820? And if they are not set in the Regency, why do we call them Regency romances? I believe the answer lies in the “feel” of the Regency. The term Regency has come to represent a much wider period of time than the nine years to which it actually relates. The Regency period is epitomised by the Regent himself. As a young man, George IV was a handsome and personable figure, described as “the first gentleman of England”. The romantic figure of Prinny had almost disappeared by the time the long-awaited Regency started. He had become fat and his extravagant habits had made him unpopular and, as the years progressed, he became more and more reclusive. But to the modern reader, the Regent in his youth represents the world of glamorous elegance, extravagant follies and romantic liaisons. It is this image of George IV as a young man that embodies the Regency, an image that was established long before he ever became Regent. The Romantic Movement was well-established by the time the Regency started. This was a time that was rich in literature, both poetry and prose. It was the time of the Romantic poets like Wordsworth, Byron, Coleridge and Shelley and the Romantic novelist, Sir Walter Scott. Constable and Turner were painting and Beethoven was composing. The Regency finished, but the Romantics went on. 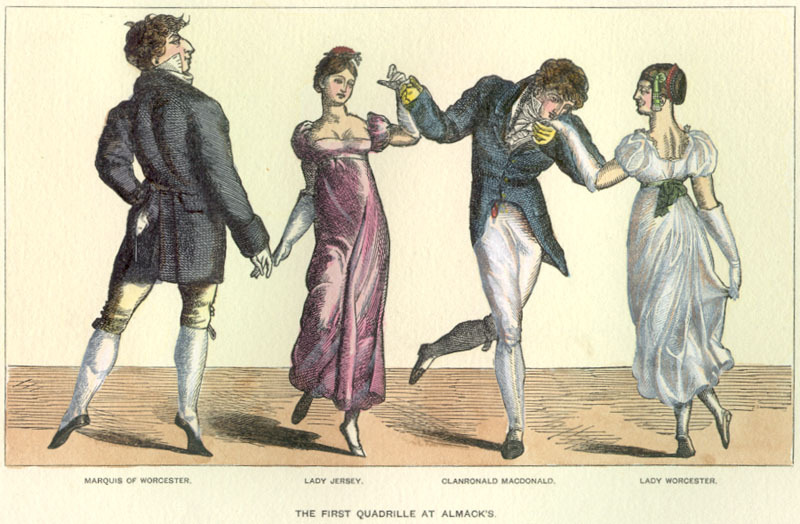 The works of Jane Austen are inextricably linked to the Regency. All six of Jane Austen’s completed novels were published during this period, making them archetypal Regency romances. But they were not wholly written during the nine years of the Regency and although Jane died before the Regency had expired, her books lived on. The Regency is associated with a style of architecture, furniture and design that spans more than a single decade. The Encyclopaedia Britannica describes Regency style as the “decorative arts produced during the Regency of George, Prince of Wales, and the opening years of the 19th century as well as his entire reign as King George IV of England, ending in 1830”. Saul David in his biography of George IV describes the Regency “in its widest sense (1800-1830)” as a “devil-may-care period of low morals and high fashion”. So when is the Regency era? The Regency era is, by very definition, related to the life of the Regent. It is characterised by the freedom and extravagance of George IV compared with the ascetic lifestyle of his father. Although the Regency is a mere nine years long, I am inclined to think that the Regency “feel” starts around the time that George IV came of age in 1783 and continues until his death in 1830. Perhaps “Regency” romances can be set in 1823 after all! 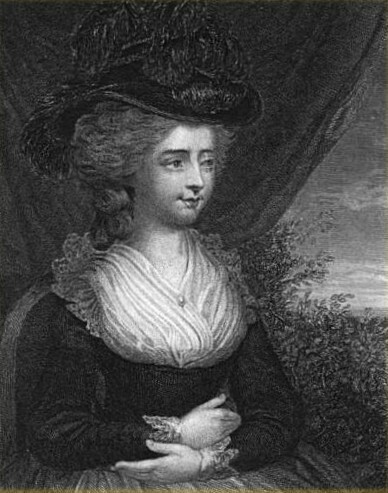 Fanny Burney (13 June 1752 - 6 January 1840) was an English novelist and diarist who served as second keeper of the robes to Queen Charlotte from 1786 to 1791. Her works include Evelina and Cecilia and her journal which was published after her death. Frances Burney was born in King’s Lynn, Norfolk, on 13 June 1752, the third child of Charles Burney, a talented musician and author, and his wife Esther. Frances, known as Fanny, was plain and short-sighted and struggled to learn to read. She was also extremely shy and had a serious manner about her, far beyond her years, which gained her the nickname “the Old Lady”. Despite this, by the age of ten, Fanny had acquired a life-long love of writing and at the age of fourteen, she started to write a journal in the form of letters to her sister Susan and a family friend, Samuel “Daddy” Crisp. In 1760, the family moved to Soho, London, where her father became a music teacher. Two years later, Fanny’s mother died of consumption, and in 1767, her father married again. Fanny’s stepmother, Elizabeth Allen, was a widow and long-time friend of the Burneys, but Fanny struggled to get on with her. Fanny acted as secretary for her father who was working on a history of music. Charles Burney’s circle of friends included the lexicographer Samuel Johnson, the poet Christopher Smart, the painter Joshua Reynolds, the actor David Garrick and a brewer Henry Thrale and his wife, Hester, a diarist. 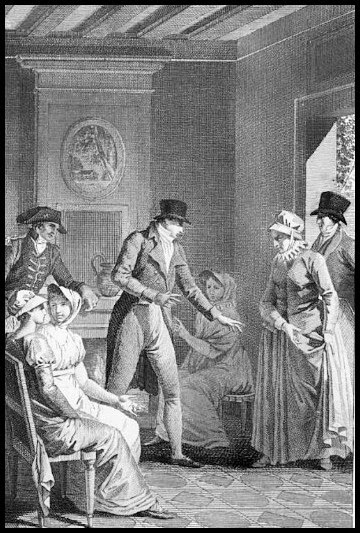 On 29 January 1778, Fanny’s first novel, Evelina, or A Young Lady’s Entrance into the World, was published. The book was written in letter form and published anonymously and secretly with the help of her brother; not even her father knew she had written it. Evelina was favourably received and when Fanny’s authorship became known, her father’s friend Hester Thrale demanded an introduction. Her celebrity as an author gained her entrée to literary circles and she became friends with the bluestocking hostess Elizabeth Montagu and through her, to the writer and artist Mary Delany. On the advice of her father and Daddy Crisp, Fanny abandoned a play, The Witlings, a satire on the literary world, which she was writing, on the grounds that it might offend. Instead she concentrated on her second novel, Cecilia, or Memoirs of an Heiress, which was published on 12 June 1782. Through Mrs Delany’s influence, Fanny was presented to the King and Queen, and this was followed by the invitation to become second keeper of the robes for Queen Charlotte. Fanny was loath to accept. She feared separation from her friends and the heavy demands of the role, but her father’s enthusiasm for her to accept this mark of Royal favour, coupled with increasingly strained relations with her step-mother, eventually persuaded her to consent. On 17 July 1786, Fanny began five years of service to the Queen. Her journals stand witness to the monotony of her days and the difficulties of dealing with her superior, Madame Elizabeth Schwellenberg. Her stress multiplied with the onset of the King’s illness in 1788, though the tedium was alleviated by a visit to Weymouth the following summer. But the rigours of the role were taking their toll on Fanny’s health and she petitioned the Queen to be allowed to retire. She was eventually released on 7 July 1791 on half pay. Still single at forty, Fanny must have doubted her chances of ever marrying. She had rejected the suit of a stiff young man named Thomas Barlow in 1775 and her court dalliance with Colonel Stephen Digby, Queen Charlotte’s vice chamberlain, had come to nothing. But in 1793, Fanny met Alexandre d’Arblay, one of a party of French aristocrats who had fled to England to escape the revolution. 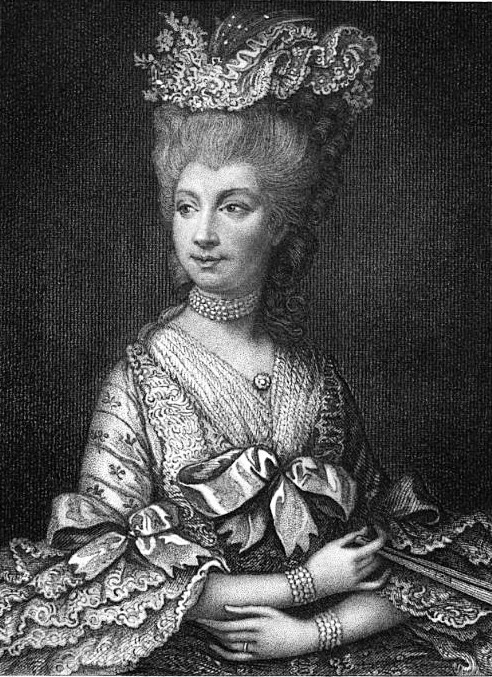 The group of émigrés also included Madame de Stael and Charles Talleyrand. Fanny fell in love with Alexandre and persuaded her family to accept their marriage, despite his Catholicism and penniless state. They were married on 28 July 1793 and a son, Alexander, was born the following year on 18 December 1794. Fanny wrote a new novel, Camilla, or A Picture of Youth, which was published on 12 July 1796. Although it was received less warmly than her previous books, it was her biggest financial success. She sold the copyright for £1,000 and received at least as much again from a subscription. The list of subscribers included Elizabeth Montagu, Hannah More, Ann Radcliffe and Jane Austen. 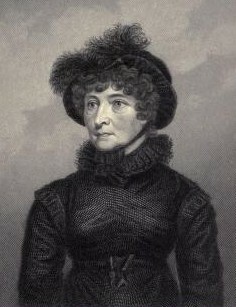 In 1812, Fanny returned to England with her son, and in 1814, she published her last novel, The Wanderer, or Female Difficulties. The book was not very popular but she received £1,500 for the first edition. Fanny returned to France in November 1814 when her husband resumed his military service and witnessed the run up to Waterloo which she recorded in her journal. 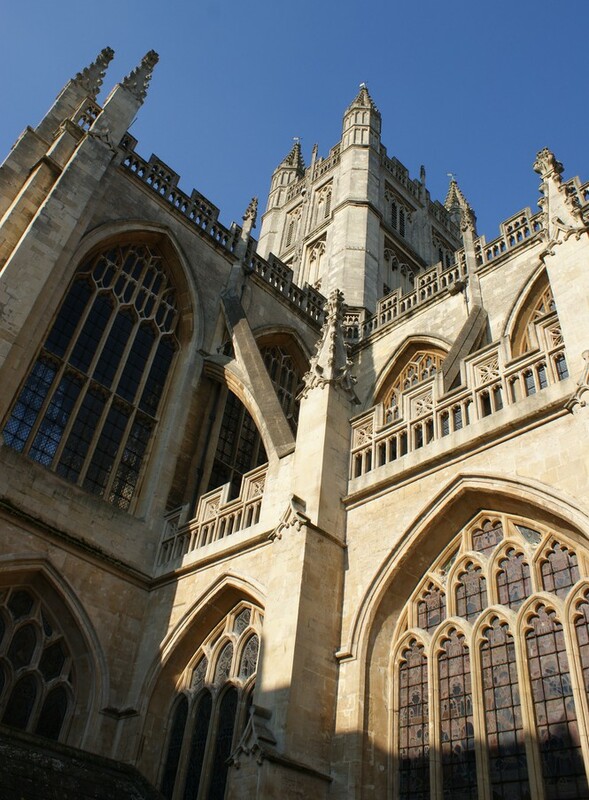 Alexandre was injured, forcing him to retire from the army, and the family returned to England to live in Bath in October 1815. 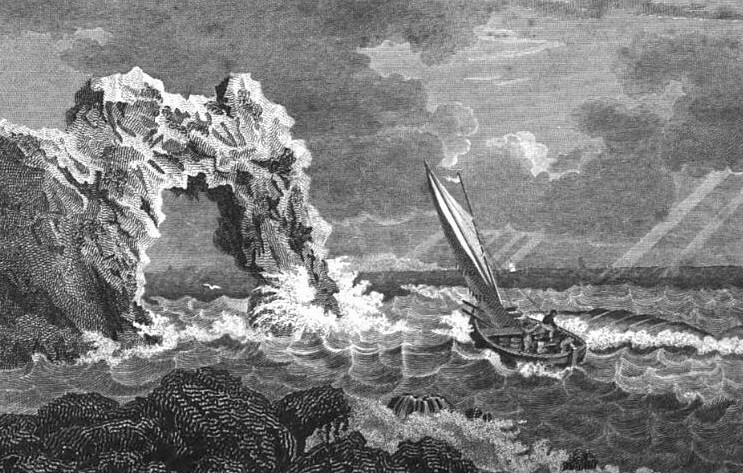 In October 1817, Fanny had a harrowing experience at Ilfracombe in Devon when she was cut off by the tide and nearly drowned. 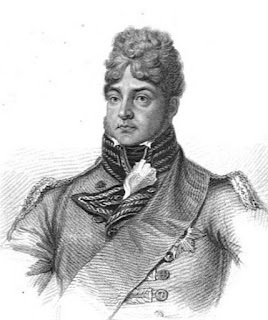 Then, on 3 May 1818, Alexandre died. Fanny was grief-stricken. In the years that followed, she devoted herself to compiling her father’s memoirs which were published in 1832. Fanny’s unsatisfactory and undistinguished son died of a fever on 19 January 1837. Fanny died in London on 6 January 1840. Her journals, which she had carefully edited to exclude unpleasant family matters that she did not want generally known, were published posthumously and give a wonderful insight into Fanny’s life and the world she lived in. (1) Referred to as Dominique-Jean Larron in the Oxford Dictionary of National Biography entry on Fanny Burney by Pat Rogers (2004). Read about how Fanny Burney's writing influenced Jane Austen. The 1785 guide gave a long list of pictures which were on show. These included a number of family portraits by Sir Peter Lely and Sir Godfrey Kneller, a portrait by Angelica Kauffman, two family pictures by Holbein, a view of the Castle by De Bruyne and some pencil likenesses by Giles Hussey Esq of Marnhull in Dorset. 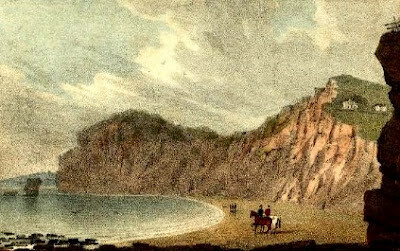 “But to return to Lulworth – The Castle is two miles Eastwards of West Lulworth, where is a house of entertainment; and on the foot path between this place and Lulworth Cove is a most delightful view of St Alban’s Head, over the rocks on the South East of Warbarrow Bay, and also over West Lulworth, almost the whole length of Portland Island. 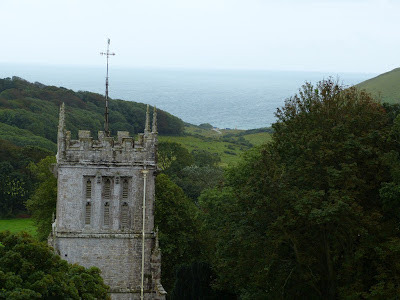 “About sixteen miles from Weymouth stands Lulworth Castle, which, notwithstanding its distance from Weymouth, is a constant object of attraction to strangers. It is the seat of Thomas Weld, Esq, and is not only admired for its situation, but in itself forms a most superb pile, adorned with statuary, painting, fine gardens, and other elegant and beautiful accompaniments, The environs are extremely well wooded, and happily intersected by hill and dale. From the south front of the house is seen a beautiful expanse of water, and a moving scene of ships. Lulworth probably retains the name of Castle, from its being built on the site of an ancient fortress. 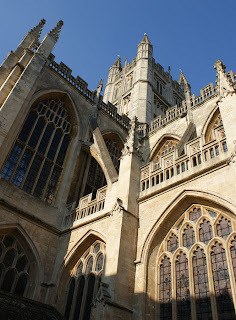 The present edifice was erected about 1600. The possessor being of the Roman Catholic persuasion, has fitted up a beautiful chapel, and made many other improvements in his mansion and domain. The magnificent manner in which Mr Weld received their Majesties and the royal family, when they did him the honour of a visit some years ago, would reflect a lustre on the taste, opulence, and loyalty, of the first subject in the kingdom. 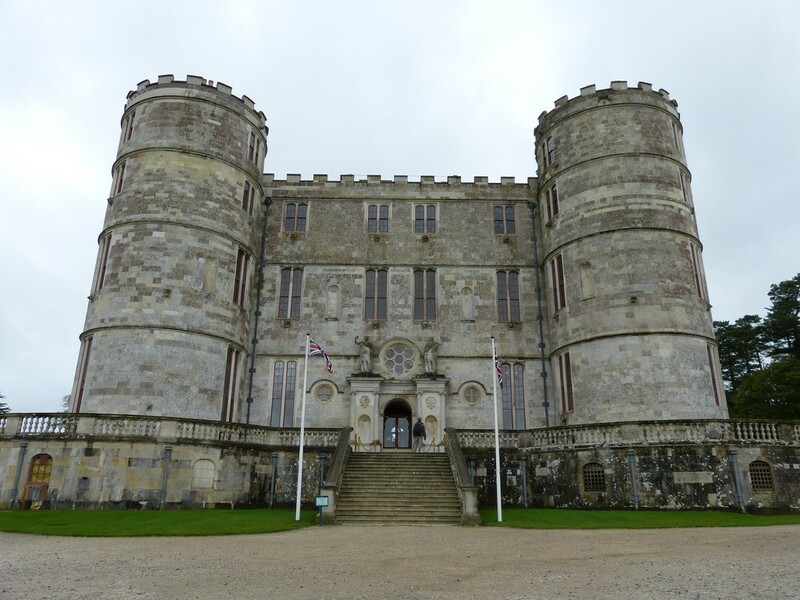 Lulworth Castle was built as a hunting lodge at the beginning of the 17th century in Lulworth, Dorset, by Thomas Howard, Viscount Bindon. It was purchased by Humphrey Weld in 1641 and has belonged to the Weld family ever since. 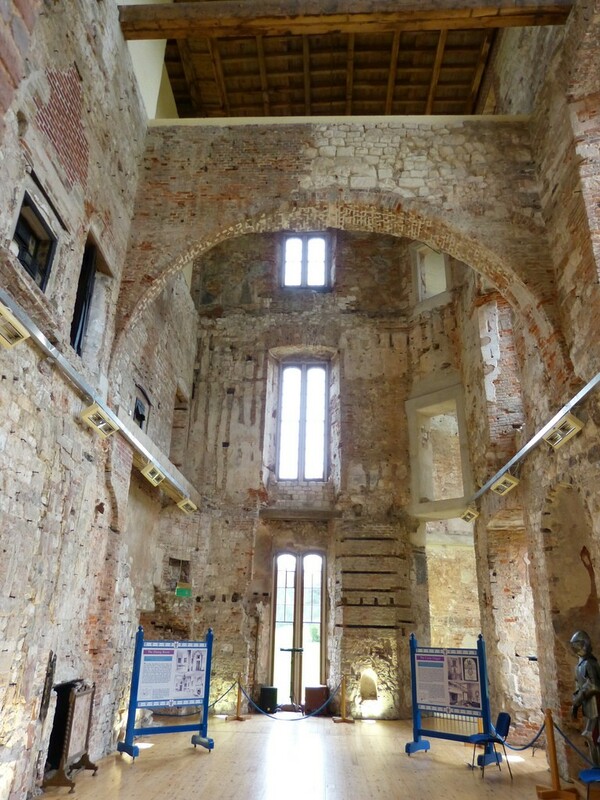 The Castle has played host to Kings; both James I and Charles II stayed there. Edward Weld inherited the Castle from his father in 1761. His first wife died without giving him an heir and in 1775, he married the beautiful Mary-Anne Smythe. Tragically, Edward died a few months later following a fall from his horse. 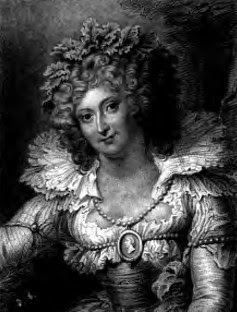 Mary-Anne, known as Maria, then married Thomas Fitzherbert, and on his death, she became the secret wife of the future George IV. 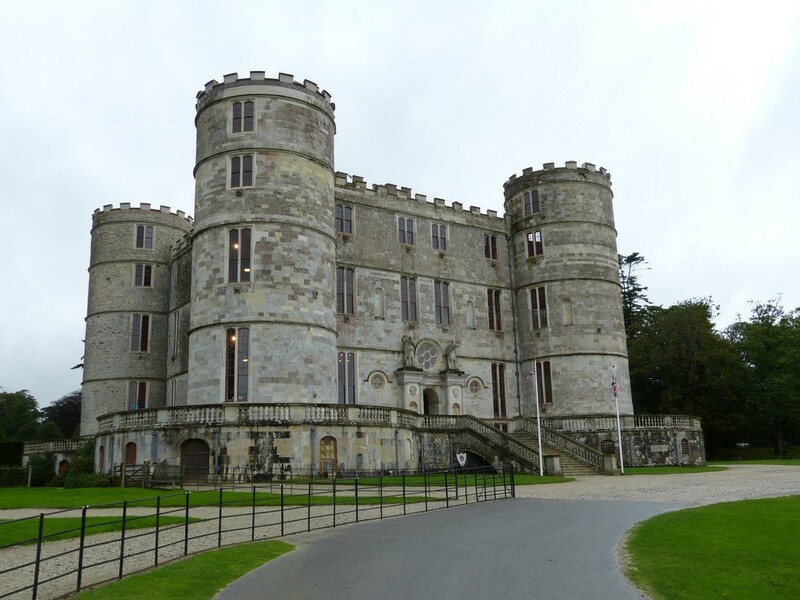 On Edward’s death, Lulworth Castle passed to his brother, Thomas, who rebuilt much of the Castle’s interior in the Neo-classical style. The Welds were devout Roman Catholics and Thomas was influential in promoting Catholic emancipation and helping Catholics fleeing from the French Revolution. In 1786, George III gave Thomas permission to build a mausoleum, purportedly with the licence to “furnish it inside as you wish”. The Chapel of St Mary’s was designed by John Tasker to look like a classical garden building and it became the first free-standing Roman Catholic Church to be built for public worship in England since the Reformation. In 1789, George III and Queen Charlotte visited Thomas Weld at Lulworth Castle whilst they were on holiday in Weymouth. They saw inside the Chapel and gave it their approval. 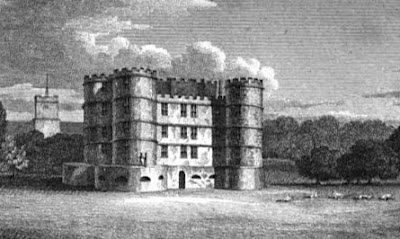 The Royal connection continued when the Duke of Gloucester leased the Castle from Thomas’ son from 1824 to 1827. The Castle was gutted by fire in 1929 but has now been restored. It was visited by the Queen in 1984 and is now a family-friendly visitor attraction. 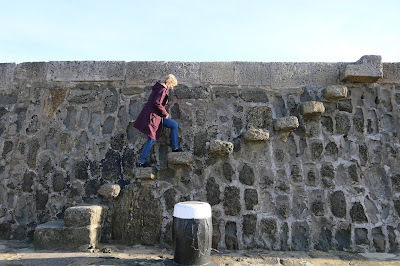 This post was updated in June 2017 to include references to Ramsgate and Southend, more quotes from Jane Austen’s work and letters, and updated sections on Brighton and Weymouth. I originally wrote this post in 2012 after rereading Sanditon, Jane Austen’s last novel, completed by ‘another lady’. 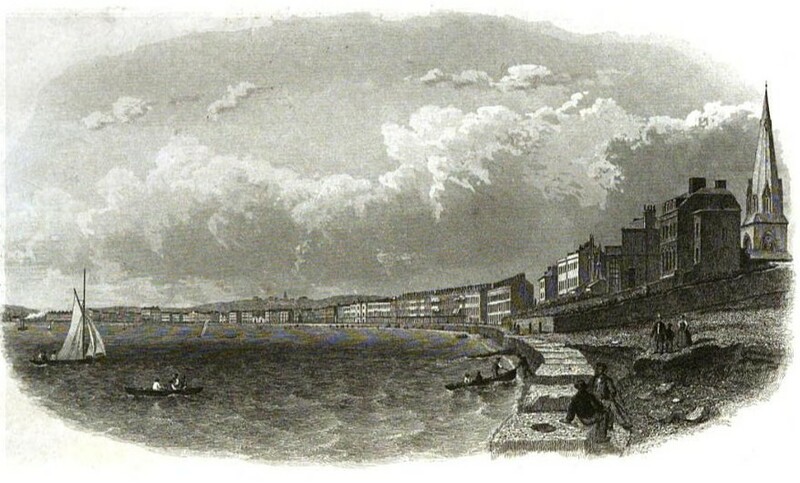 The description of Sanditon was of particularly interest to me as I have been researching sea bathing in the Georgian era and this gave me a contemporary, albeit fictional, description of the seaside. The words that Jane Austen put into Mr Parker’s mouth represented the fashionable view of the seaside at the time and she must have been consciously echoing the words of such sea bathing enthusiasts as Dr Crane of Weymouth who wrote Cursory Observations on Sea-bathing. Was Jane Austen really convinced of the infallibility of the seaside as a cure for all ills? I think not! Rather she was laughing at the current fashion by creating the indefatigable Mr Parker who is both likeable and somewhat ridiculous in his extreme enthusiasm for Sanditon. Jane Austen visited the seaside on several occasions and seemed to enjoy the experience. She visited Sidmouth in Devon in 1801, and it was here that it is believed that she met the true love of her life, a gentleman who returned her affection but tragically died soon afterwards. 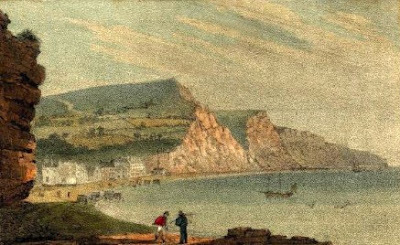 It is no wonder that Sidmouth had a special place in her heart and Sanditon is thought to be based on Sidmouth. She stayed in Devon again in 1802, visiting Dawlish and Teignmouth. According to the Austen-Leighs’ Jane Austen, Her Life and Letters, Jane visited Ramsgate in 1803 where she was seen by Sir Egerton Brydges. Her brother Frank was headquartered there at the time and it is likely that she visited him there on one of her trips to Godmersham Park. Jane was very taken with the natural beauty of Lyme Regis and this comes out in her description of it in Persuasion. Maybe the repeated visits of George III had made Weymouth too busy for Jane's liking. Weymouth is portrayed in her novels as a seaside resort for profligate young men and silly women and the ideal place for contracting a foolish, secret engagement. 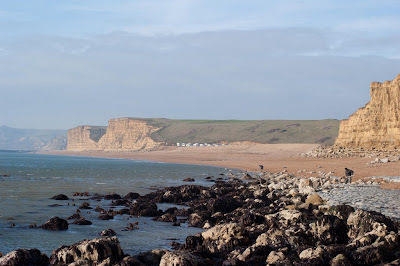 In Mansfield Park, Tom Bertram met John Yates in Weymouth, whilst in Sense and Sensibility, silly Mrs Palmer had been visiting in Weymouth with her uncle and had therefore missed Mr Willoughby’s previous visit to Allenham. 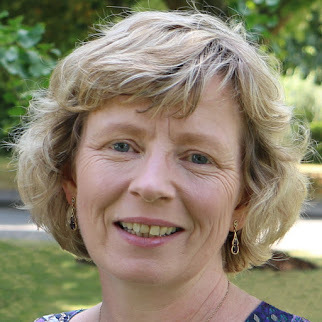 In Emma, it is at Weymouth that Jane Fairfax and Frank Churchill met and fell in love and entered into a secret engagement. “If one could but go to Brighton!” observed Mrs Bennet. 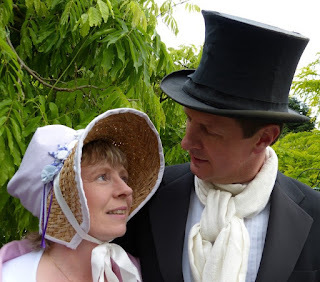 Lydia, of course, gets her wish of going to Brighton – and proceeds to elope from there with the infamous Mr Wickham! 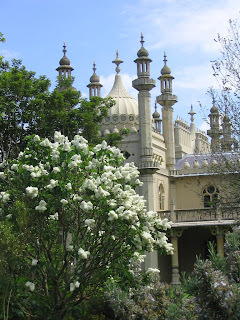 In Mansfield Park, the Rushworths go to Brighton for their honeymoon, with Julia Bertram in tow. But even the entertainments of Brighton and London are insufficient to keep the young Mrs Rushworth contented for long and ultimately she succumbs to the illicit attractions of Henry Crawford. 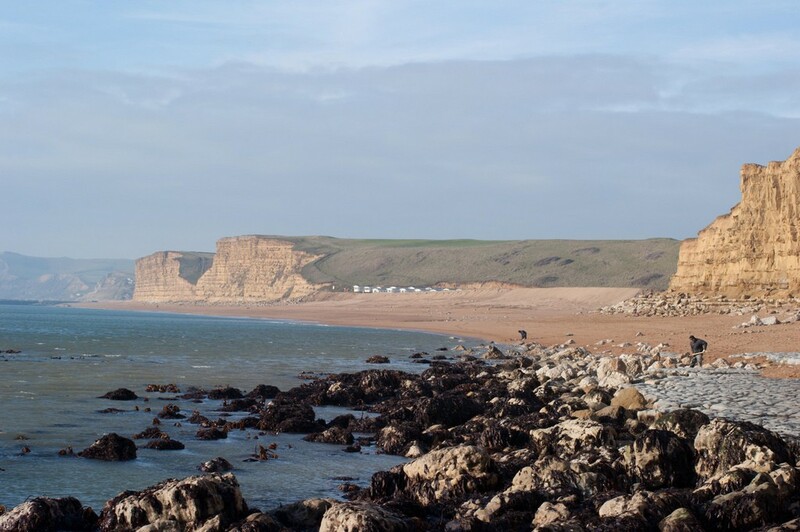 Did Jane Austen like the seaside? I think the answer is most definitely yes. Her description of Lyme Regis in Persuasion is full of praise for its natural beauty, asking the reader the question: ‘How could you not like it?’ I like to think that she would have appreciated Weymouth, my home town, for the same reasons, particularly after the king’s visits had ceased and it became less fashionable. (1) From Sanditon by Jane Austen and another lady (1875). (2) From Emma by Jane Austen (1815). (3) In a letter dated 3-6 July 1813 in Jane Austen’s Letters edited by Deirdre Le Faye (1995). (4) From Pride and Prejudice by Jane Austen (1813). (5) In a letter from Jane Austen dated 14 September 1804 recorded in Jane Austen, Her Life and Letters by William and Richard Austen-Leigh (1913). 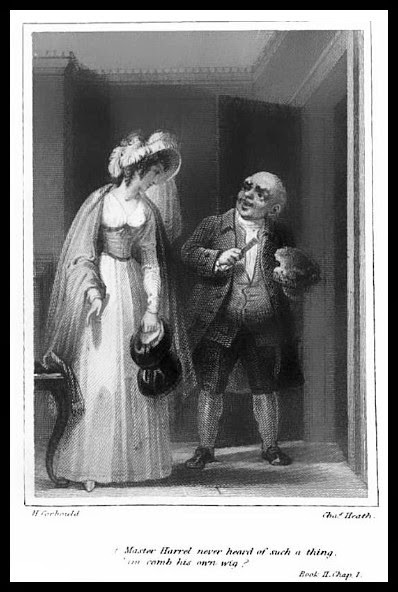 (6) From Persuasion by Jane Austen (1817). (7) From Persuasion by Jane Austen (1817). (8) In a letter from Jane Austen dated 14 September 1804, from Jane Austen’s Letters edited by Deirdre Le Faye (1995). (9) From Emma by Jane Austen (1815). (10) From Emma by Jane Austen (1815). (11) In a letter from Jane Austen to her sister dated 8 January 1799, from The Letters of Jane Austen selected from the compilation of Lord Bradbourne (1892). (12) See text for the above letter and accompanying note in Jane Austen’s Letters edited by Deirdre Le Faye (1995). My thanks to Yoram Cohen for pointing out this mistake in my original post. (13) Referring to the Princess of Wales, Jane wrote: “Poor Woman, I shall support her as long as I can, because she is a Woman, & because I hate her husband.” In a letter from Jane Austen to Martha Lloyd dated 16 February 1813 in Jane Austen’s Letters edited by Deirdre Le Faye (1995). (14) From Pride and Prejudice by Jane Austen (1813). (15) From Mansfield Park by Jane Austen (1814). (16) In a letter to Frank Austen dated 3-6 July 1813 in Jane Austen’s Letters edited by Deirdre Le Faye (1995). (17) From Emma by Jane Austen (1815). (18) From Emma by Jane Austen (1815).